The Los Alamitos Racing Association will offer a cash prize and as many as three seats to the 2019 National Horseplayers Championship in Las Vegas with a live money handicapping contest Wednesday, July 4. Cost to enter is $400. Of that amount, $100 will be placed in the contest prize pool with the remaining funds going towards a live-money wagering card. Contestants must enter prior to 1 p.m. – post time for the first race – July 4. Players can begin entering the contest once track gates open at 9:30 a.m. that morning. Tournament races will include the entire card at Los Alamitos with permitted wagers including win, place, show, exactas and daily doubles beginning in the first five races of the card. Each entry must bet at least $50 on six races, but there is no wagering limit. Three NHC berths will be up for grabs if the contest has more than 60 entrants. If less than 60, two NHC spots will be available. 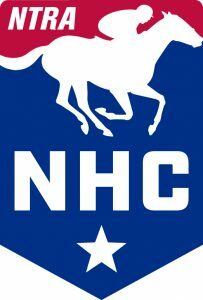 Another NHC qualifier at Los Alamitos is scheduled for Saturday, July 14. For complete contest rules and any questions, contact larace@losalamitos.com or phone 714-820-2690. The Summer Thoroughbred Festival at Los Alamitos will begin Thursday, June 28 and continue through Sunday, July 15.